BRAND NEW HOME --- NEVER LIVED IN --- MOVE IN NOW!!! 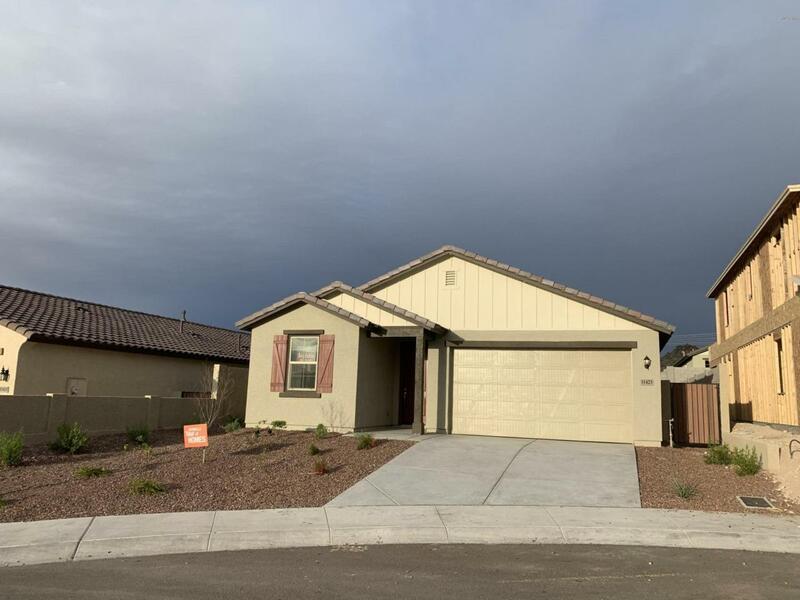 1 OF ONLT 6 HOMES IN THE CUL-DE-SAC....AMAZING MOUNTAIN VIEWS***SPACIOUS 3 BEDROOM, 2 BATHROOM HOME IN TE HEART OF ESTRELLA MOUNTAIN RANCH. JUST MINUTES FROM BOTH ESTRELLA CLUB HOUSES AND FROM THE NORTH AND SOUTH LAKES. VERY LARGE OPEN GREAT ROOM WITH 42'' UPPER KITCHEN CABINETS, CROWN MOULDING, GRANITE COUNTERTOPS, STAINLESS STEEL 5 BURNER GAS RANGE WITH STIANLESS MICROWAVE AND DISHWASHER. 12 X 24 PLANK TILE THROUGHOUT EXCEPT FOR IN THE BEDROOMS. LARGE MASTER BATH SUITE, MARBLE SHOWER WITH MARBLE PAN, SURROUNDS, AND MARBEL BENCH.THIS HOME IS READY FOR IMMEDIATE OCCUPANCY.PRICE IS $10,000 LOWER THAN LIST PRICE. Listing courtesy of Michael C Ghormley.